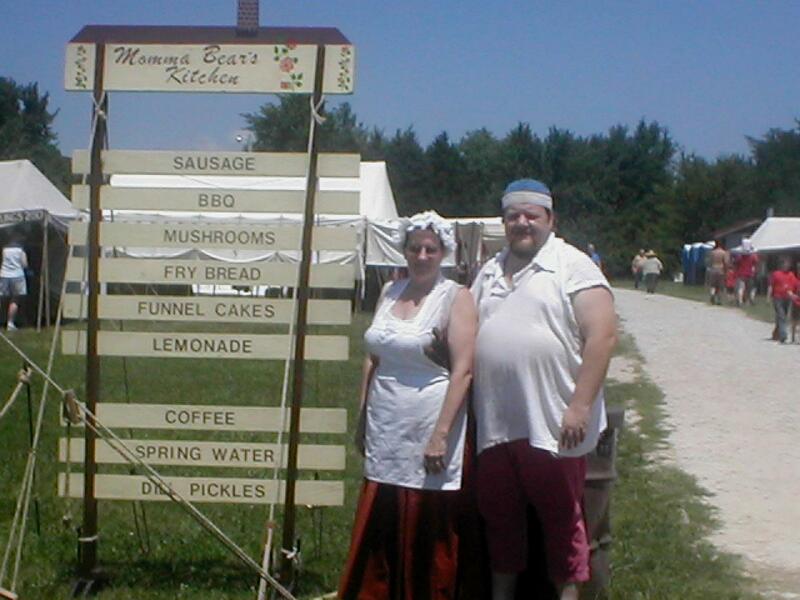 Momma Bear's Kitchen is a mobile Food Service provider combining the simplicity of a concession stand with the flexibility of a full service restaurant. All done with an Historical flair, showcasing virtually any period in American History from the Early Colonial days (1690) right through the Wild West (1875). 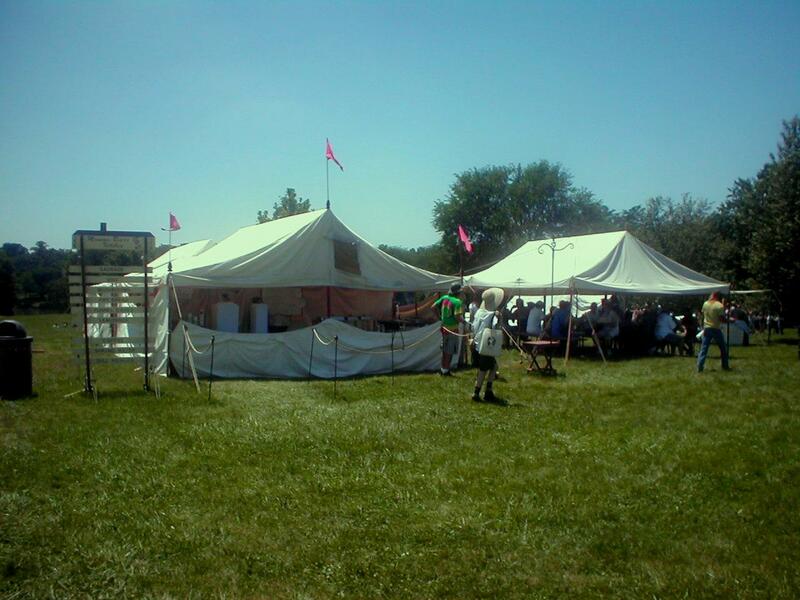 Our Specialty is the Early American Period (1800-1850) - the time period when most of the Midwest was being settled - making us the perfect addition to any "Founders Day" or "Heritage Festival" style events. All visible accouterments and costumes conform to your preferred time period (except for those things required by the Health Department, of course). Even the Kitchen itself is set up in a canvas tent, correct for any period in history (as opposed to a modern concession trailer, which fits no time period prior to the late 1940's). And, while modern, sanitary equipment is used for the cooking and serving, the style of cooking and the foods served are also historically correct. Our standard Bill of Fare is as traditional as our costuming, featuring Olde World favorites like Polish and Frankfort Sausages, served on a stick (buns not being "invented" until 1903) and whole Mushrooms simmered in a savory wine sauce, combined with New World treats like Smoked Turkey Legs, Pulled Pork Barbeque, Pennsylvania Dutch style Funnel Cakes, and Fry Bread. Even our drinks are traditional favorites - Coffee, Iced Tea, Sweet Spiced Cider and Lemonade. However, we have the flexibility to adjust our menu to better fit your event. And, if there is enough interest, we are always happy to open early and make breakfast for the participants at your event. As an additional bonus our cook, Eddie Little Bear, is not only a classically trained chef with AAS degrees in both Culinary Arts and Restaurant Management, as well as certified in Food Safety and Sanitation by the State of Illinois, but he is also an accomplished Storyteller who likes to step out of the kitchen now and then and spin a yarn or two for the patrons. "If you're plagued with Hunger or Thirst, Momma Bear has got the Cure!"